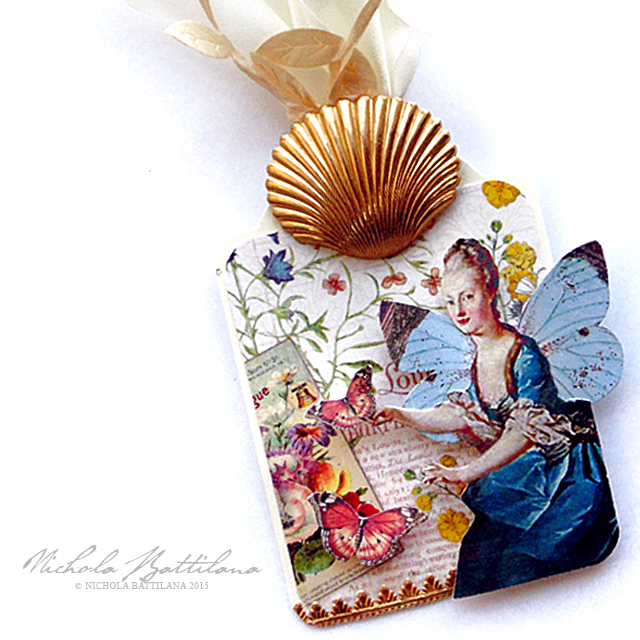 As my Graphic 45 dt term wrapped up, I created this series of tags as a little memento for my fabulous fellow teamies. I wanted the tags to be a ‘set’ but I also wanted each one to be unique. 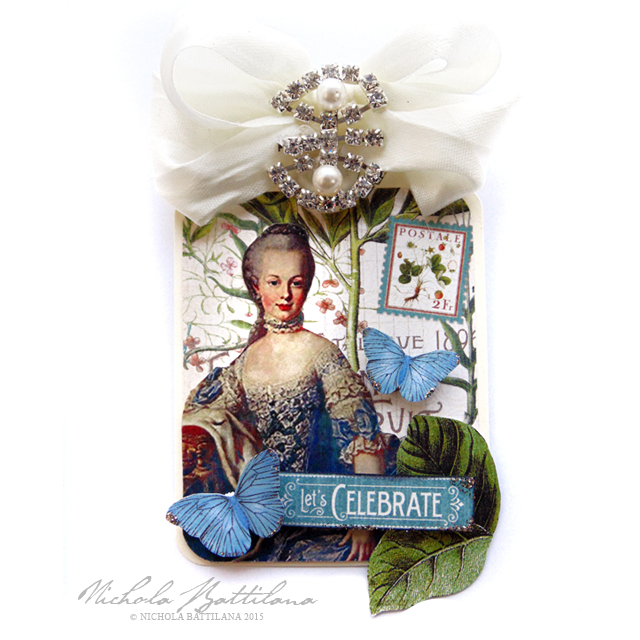 I began by covering ivory Artist Trading Tags with July Flourish from the Time to Flourish collection. 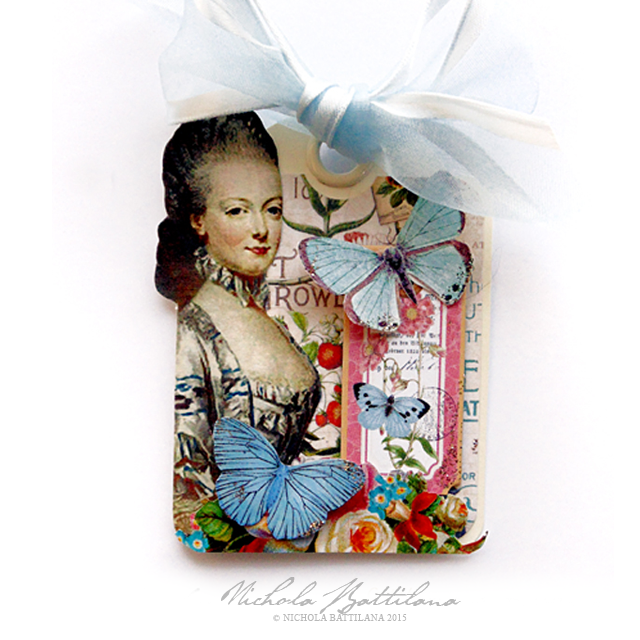 Then I found a series of images depicting Marie Antoinette from the blog Magic Moonlight (http://bit.ly/1G6YCm9). 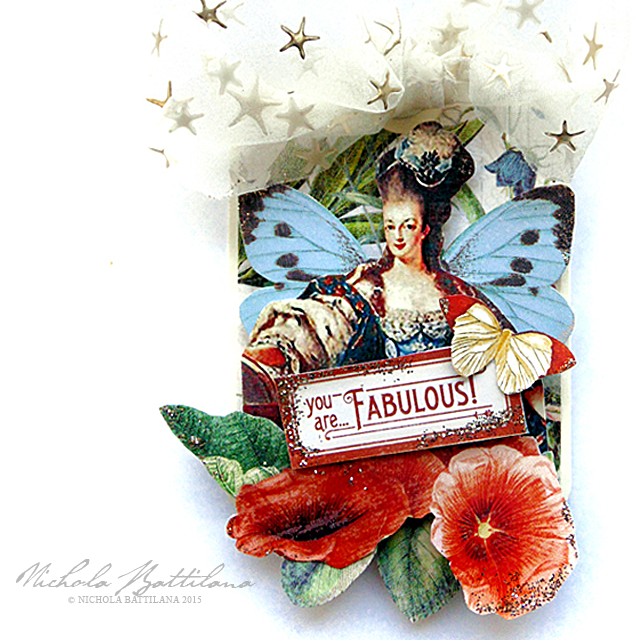 Using my stash of scraps and fussy cut bits and bobs, I began playing and layering elements. 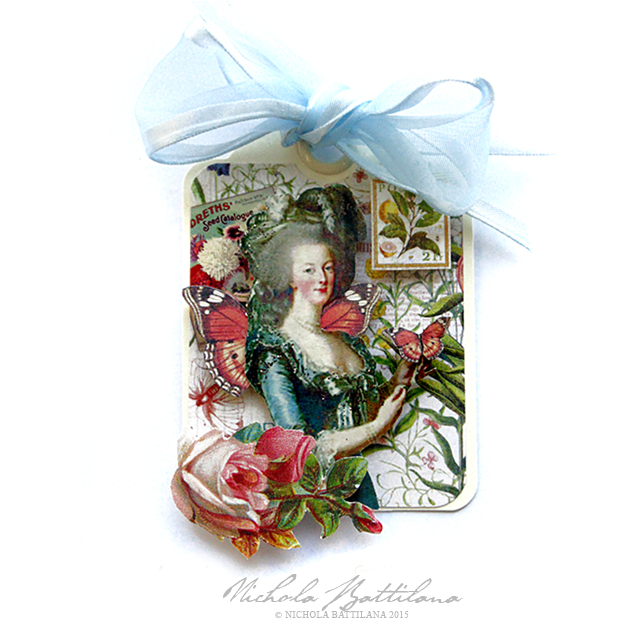 These ATCs use cut pieces from Time to Flourish, Botanical Tea, Home Sweet Home and Sweet Sentiments. Finally, I added a nice chunky bow and just a smidge of glitter. Love these tags! 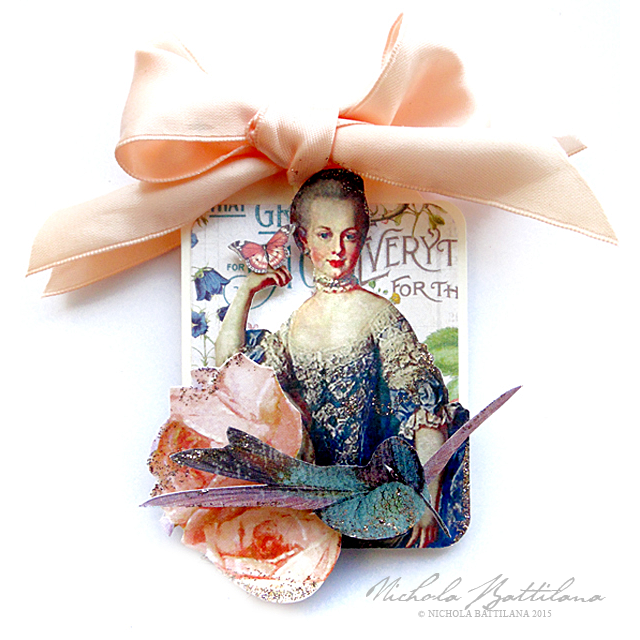 I MUST get busy and try a new adventure in ATC's, tags and small canvas. I have always wanted to do stuff like this. You are an inspiration!